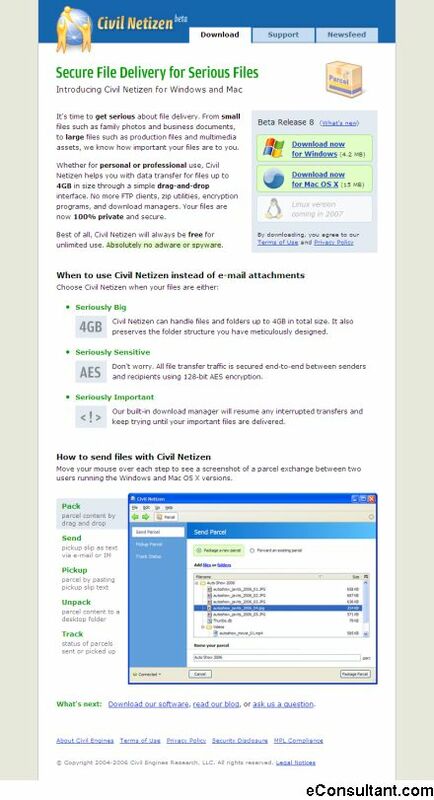 Description : Civil Netizen helps you with data transfer for files up to 4GB in size through a simple drag-and-drop interface. No more FTP clients, zip utilities, encryption programs, and download managers. Your files are now 100% private and secure.